No one likes to talk about the dark side of the INFJ personality. INFJs are supposed to be gentle, thoughtful, and kind-hearted. Yes, we are those things, and so much more. For example, few other personality types care as deeply about humanity as INFJs do, and perhaps no other type is better suited to start a social movement that rights a wrong — Mother Teresa, Gandhi, and Martin Luther King Jr. are thought to have been INFJs. But under stress, a different side of the INFJ comes out. Although usually private and reserved about our feelings, we’re not immune to lashing out or being critical of others when we feel hurt. For our friends and loved ones, witnessing the dark side of the INFJ can be confusing. Let’s take a closer look at the dark side of the INFJ. In other words, what are some of the less-than-lovely tendencies of this personality? 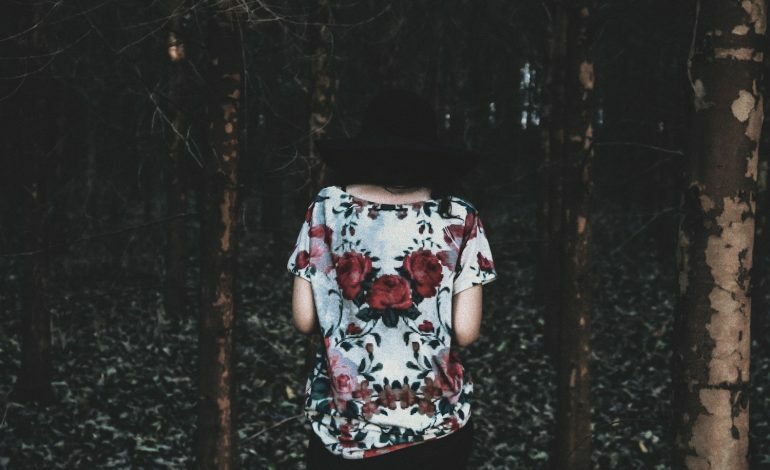 Keep in mind that no two INFJs are exactly alike, and other personality types may struggle with some of the following “dark” tendencies, too — just not quite in the same way or to the same degree that INFJs do. Honestly, if we have our minds set on something, it may take several attempts to change it. It may seem like we’re being inflexible, but honestly, we just need time to be okay with the new plan or idea. As long as something doesn’t go against our deeply held morals, we’ll probably eventually come around to it. As much as we like to pretend that we don’t have high expectations, they are there. We not only hold ourselves to a brutally high standard, but we also tend to have high expectations for others. And the closer you get to us — like a significant other, best friend, parent, or child — the higher the expectations rise. We especially have high expectations when it comes to love. In a new romantic relationship, we may feel quite discouraged when the intimacy and romance start to inevitably fade. Then we start wondering if we were right to get into the relationship in the first place. If we’re honest with ourselves, what we really want is the ideal romance. Actually, what we really want is the ideal everything. Of course, we know that no one is perfect, and neither are we. Please know that if an INFJ puts expectations on you, it means they care about you and want you to care about them, too. We know when to be on our best behavior, but honestly, we’re often swayed by how we feel in the moment. INFJs may appear calm on the outside, even when inside, we’re a bundle of emotions. It’s usually apparent when something is bothering us, but that doesn’t mean we’ll want to talk about it. INFJs can be guilty of pushing people away and throwing a pity party. Of course, we’d like someone to confide in, but more often than not, we feel that most people wouldn’t understand us even if we did open up. Sometimes INFJs can be just as confused about their moods as others are. Often INFJs need time — alone — to sift through their emotions and understand why they are feeling the way they feel. If an INFJ does open up to you, they may even apologize for talking about their feelings. That’s because we often keep things to ourselves to spare you the burden. However, the best thing you can do for an INFJ is to let them talk about something if they need to. INFJs usually feel better just being able to express their feelings and concerns. Don’t judge, criticize, or offer solutions (unless the INFJ directly asks for your help — sometimes we need those practical solutions, too). Try to listen and understand their feelings. And maybe give them a hug. Sometimes all it takes is some love and encouragement for our moodiness to pass. We love giving helpful advice, and we’re often able to see a situation from many sides. If you want to hear only what you want to hear, do not come to your INFJ friend. We give honest opinions, and we try to do so gently to soften the blow. Trust me when I say that our honesty comes from a well-intentioned place. But sometimes we come across as too blunt, judgmental, or harsh. We don’t mean to be cruel, though, and we’re sorry for the times that we were. Know that if your INFJ friend is telling you something you don’t want to hear, it’s because they’re genuinely concerned about you and want only good things for you. INFJs may be too brutally honest, but we’re rarely malicious. We’re capable of adapting to the needs of others and love being a source of comfort. We will, however, lash out if we feel we are being wronged. It’s usually after many minor hurts have piled up, and our patience has been exhausted. We tend to bottle up negative emotions because we’d rather keep the peace than tell someone they’ve hurt us. However, like any other human, we can only take so much, so eventually the powder keg of frustration blows — and it’s usually nasty. INFJs can prevent this type of emotional explosion by addressing minor offenses as they happen, rather than letting the hurt simmer and grow. Have you heard of the notorious INFJ door slam? It’s when an INFJ cuts you out of their life because they are extremely hurt. They’re not doing this because they hate you, rather, it’s because they’ve decided they can no longer deal with the emotional pain you bring them. Remember that INFJs tend to be quite sensitive. If an INFJ slams the door on you, they may suddenly stop all communication with you. If this is not possible, because they see you every day at home, work, or school, they may simply close themselves off emotionally and refuse to allow you in. They may still talk to you when they have to, but they’ll seem cold and distant. INFJs do not shut people out without intense contemplation. We’re not exactly impulsive people. Other people may forget just how sensitive we are despite our “everything is fine” demeanor. Even the nicest people have their limits. Often, INFJs are right to slam the door. And people who emotionally abused, deceived, or took advantage of the INFJ should be kept out. However, sometimes INFJs are too quick to door slam. Sometimes they let little hurts build up (see #5), then explode by shutting people out. In this case, the other person may not even know what they did wrong, because the INFJ didn’t let on that they were hurting. INFJs can remedy this through better communication and setting healthy boundaries.